Part of getting healthy, losing weight, and ultimately reaching your full potential involves reading. Reading activates the mind and it gets us thinking in a world other than our own. It increases our vocabulary, and reading books is far better for our brains than watching TV. I love watching TV as much as the next guy (I am a big Marvel nerd after all) but there is something to be said about getting caught up in a good book. Do the right thing for your brain and shut off the tube every once in awhile and grab a good book. 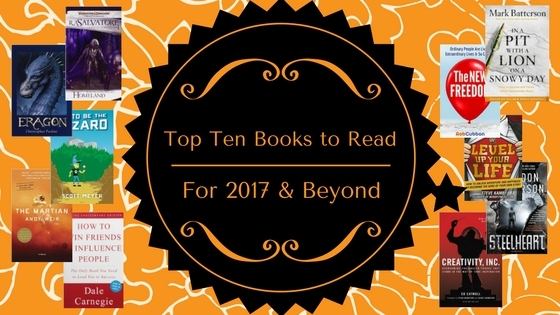 Lucky for you I will be sharing 10 books that you gotta read. Whether you are looking to read science fiction, romance novels, self-help books, or cook books, reading needs to be part of your life. Here are ten books that I recommend reading as fast as you can get them. Listen, read on a kindle, or get a physical copy, (old school much) any way that you want to read is just fine. Half the list is non-fiction and the other half fiction. 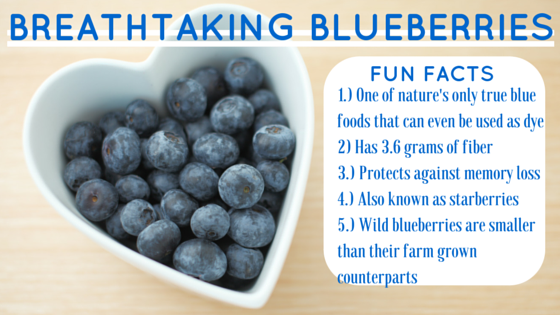 I find it best to get a healthy mix of both in my life, and I decided to represent each here equally. All of the below links are affiliate links to the book’s page on Amazon. Click them and power up the Fiber Guardian! This book is one of those books that has the potential to change your life. It changed mine, and is thus my all time favorite book. 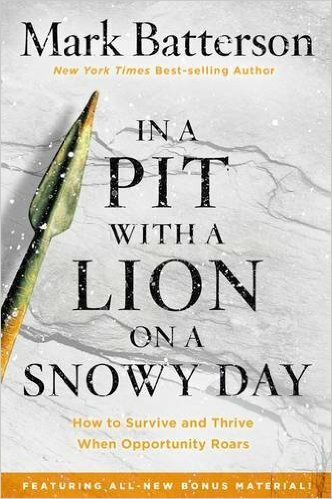 Mark Batterson is an excellent story teller, and the book is woven in such a way that urges the reader to attack any lions that exist in their own life with a new fervor. I recommend reading it and then taking action in your own life. Chase the Lion! If you are looking for an exciting adventure, look no further. Off to Be the Wizard has it all. Its witty humor, time travel, and riveting story line make it one of my favorite fiction novels. Even better, it is the start of a series. I currently just finished the second book, and I can’t wait to start on the third! While it will most definitely not win an aware for best cover. this book was originally published in 1937 and it is still being referred to as one of the best people skills books out there. Make some new friends and read a classic. This book will help you to learn basic people skills yes, but it also tests what you already know. It is a great reminder that lifting people up and encouraging them is the way to go and putting people down is not. No one likes a person that is always negative, and being positive and uplifting is the way to make people like you. I listened to this book on audible and I highly recommend reading it. The story is riveting throughout and you won’t be able to put the earphones down. 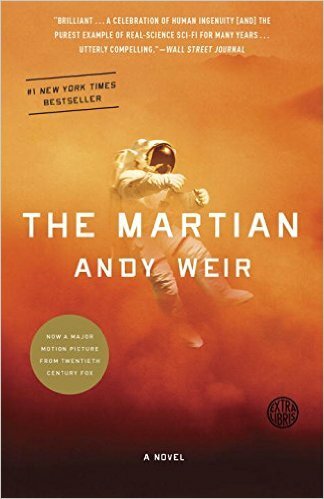 Andy Weir weaves together a fascinating story of ingenuity, dumb luck (both good and bad) and other worldliness. Skip the movie and read the book instead and you will definitely not be disappointed. This book is one of my all time favorites fiction novels. My wife and I both read this book and ended up incorporating it into our lives. We currently have a “level up” board on display in our living room and we are constantly vying to earn points and level up. We enjoy pushing ourselves and trying to make the most of our lives, and Steve’s book served as a catalyst for both of us to continue doing so. 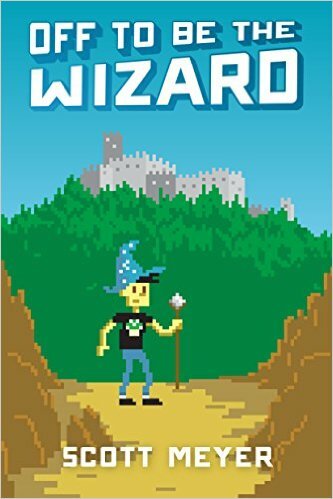 The book is an adventure that I suggest you take now before life gets in the way. I picked this book up on Audible on a whim. Once I started listening I got hooked. Little did I know that my younger brother had actually already read this particular book and loved it as well! The normal person turned superhero theme is a little bit overdone nowadays, but this book put a new spin on it by calling them “epics” and making all “epics” turn evil. The fight against the epics is on in full tilt in this thriller and the ending leavers you satisfied but wanting more. Good thing this book is the first in a trilogy! 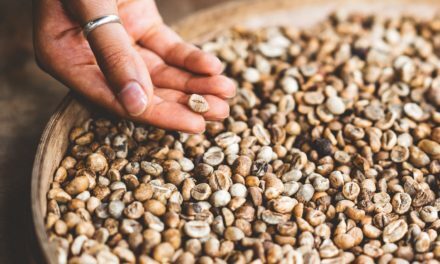 In “The New Freedom” author Rob Cubbon shares his story of how he stuffed his belongings into a backpack and moved to Thailand. He starts the book off by saying that he wrote this book in a Cafe in Chiang Mai where he lives and works remotely. 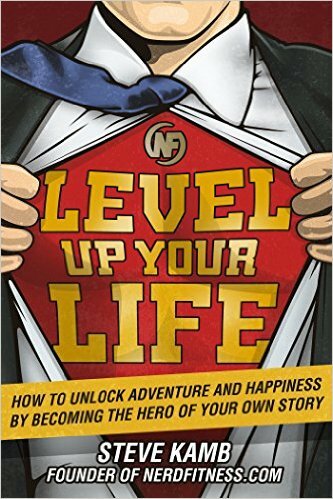 His is living the “New Freedom” and this book tells you how he got to where he is and how you can too. 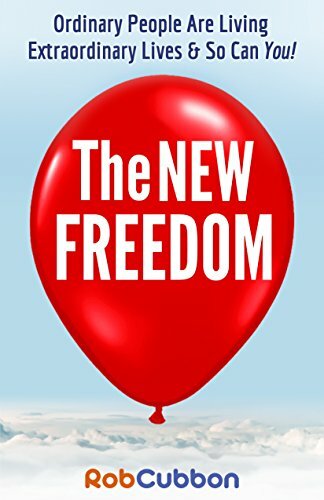 His writing is extremely positive and upbeat and he constantly reminds the reader that the “New Freedom” is achievable by anyone reading whether they are single, married, or have kids. I was fascinated by his story. I can’t even imagine the fear and anxiety he must have felt when he moved worlds away to run his business, but yet he did it and is loving life. The structure of the book is broken up into 4 easily digestible main chunks which include his story, tips on how to start living the “New Freedom,” where to live out your new found freedom, and then several interviews with real life people who are living out this lifestyle. I highly recommend this book to anyone interested in experiencing a life that is out of the norm and way different than the status quo. If you have ever wanted to begin an epic journey but didn’t quite know where to start, pick up this book and be enlightened. I would be absolutely remiss if I did not mention the first book in a series that spans 30 total books. 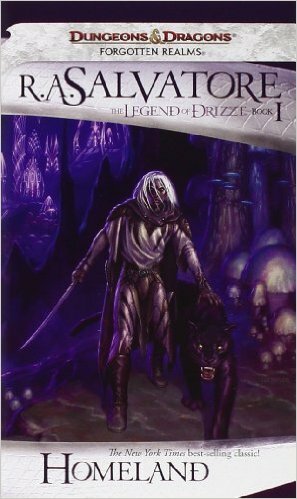 The Legend of Drizzt is a hallmark in any collection and this book starts it all off. Drizzt Do’Urden is a drow elf born in the evil matriarchal city of Menzoberanzan. That might be enough to stop reading for some of you, but the tale that the author RA Salvatore weaves is incredible. From the start of this book and from every book after you are on the edge of your seat. If you are looking for a new series to be immersed into buckle up, as the Legend of Drizzt is a wild ride. Ed Catmull is the CEO of Pixar Animation Studios. Yes, the very same people that made clown fish uber popular and people afraid of toys coming alive at any second. 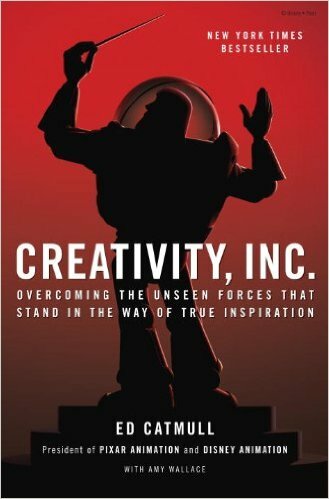 In this book, Ed talks about cultivating the creative culture of Pixar and how he has found leadership to work. It makes you really think about how you can change the culture of where you work, play, or go to church. 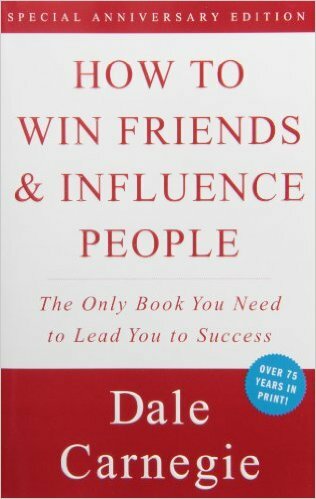 Give this book a read to change your mindset on teamwork and leadership for the better. I read this book back when I was in high school, but it is still one my all time favorites. You can’t get much better than dragons, magic, sword fighting and evil kings. 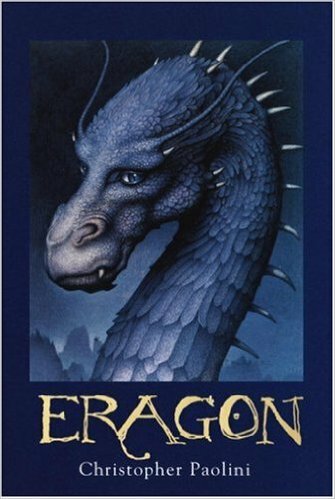 Eragon is the first in a series and once you finish you will run to the bookstore and grab the second book. The story keeps you going the entire time and won’t let you go. Alright friends, that does it for my list. Head on over to Amazon and get yourself a little something, or grab one of these books for a good friend. PreviousNew Book Announcement: “Now What?” Plus First Chapter Free! NextEverybody Farts: But Is Farting Good for You? The Fiber Guardian Says Yes!